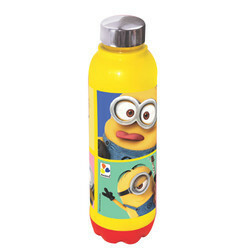 We are involved in offering an extensive range of Cosmo bottles. These are manufactured using superior quality basic material, and are hygienic to store water. Also, these bottles have resistance against breakage and are absolutely air tight. In addition to this, these are capable of keeping water cool and hot in extreme temperatures. - Ideal for school going children & students. - Liquid tight & spill proof water bottle. 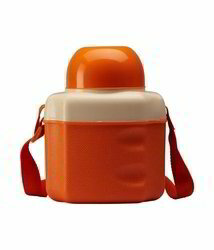 - Keeps water or beverages chilled/hot for longer time. - Convenient handle & strap makes it easy to carry.